The shooters who opened fire at a California center that serves those with developmental disabilities Wednesday didn’t say anything before they started spraying a conference room with bullets, the husband of a woman who was shot but survived said. Salihin Kondoker’s wife, Anies, an environmental engineer who works for San Bernardino County, was inside the conference room when gunfire erupted at around 11 a.m. local time. "They just started shooting ... they didn't yell or say anything beforehand,” Salihin Kondoker said his wife told him. At least 14 people were killed in the rampage at the Inland Regional Center, police said. Anies was shot twice in the hand and once in the stomach, but doctors said no vital organs were hit, her husband said. She is being treated at Arrowhead County Hospital. Suspects Syed Farook, 28, and Tashfeen Malik, 27, were shot and killed in an exchange of gunfire with police hours later, after officers chased a vehicle that resembled one sought after the shooting, San Bernardino Police Chief Jarrod Burguan told reporters. They are either married or engaged, police said. A police officer was also hurt, but the injury was not life threatening, police said. The shooting took place during a Christmas party for county workers in a conference center in a building in the complex, which provides services to people with developmental disabilities, officials said. Farook was an employee with the county health department and was at the party, but left early and apparently later returned, Burguan said. A motive in the attack has not been determined, he said. Melinda Rivas, a social worker at the regional center, was in her office in when coworkers shouted that there had been a shooting. She and more than 40 other co-workers barricaded themselves in a conference room until police gave the clear to leave the building with their hands up about 20 minutes later. "They yelled down the hall and said there’s a shooting downstairs, there’s a shooting downstairs,” Rivas, told NBC Los Angeles after being taken by bus to reunite with her adult twin children. "I was numb; I didn’t know what to do or say. I was just in disbelief," she said. "I called my kids and said if something happens to me, there’s a shooting here, just be safe — what else can I do?" The shooting took place in an auditorium in which the county Department of Public Health was holding an event, not far from the building Rivas was in, she said. Patrick Simpson’s daughter is an intern at the regional center and was in the building when shots began. "I called her and she grabbed the phone, and she was whispering and said that she was in a room with nine other people, and she was at the building where this all happened and they moved them into a safe room,” Simpson told NBC News. As police swarmed the complex, some employees locked themselves in rooms and communicated via text messages and short, whispered phone calls. "It’s crazy, we had an active shooter training not too long ago and you just never think this is going to happen to you," said employee Brandon Hunt, who was running an errand and was not at work when the gunfire rang out, but kept in touch with co-workers. Wednesday’s mass shooting comes less than a week after a gunman opened fire at a Planned Parenthood facility in Colorado Springs, killing three people, including a police officer. "California, Colorado is keeping you in our hearts tonight,” Colorado Gov. John Hickenlooper said on Twitter Wednesday. Rivas said Wednesday night she was anxious to see her family. "It was just a horrific moment, co-workers screaming ... It’s just a moment that makes you not want to take life for granted," Rivas said. "It was horrific." 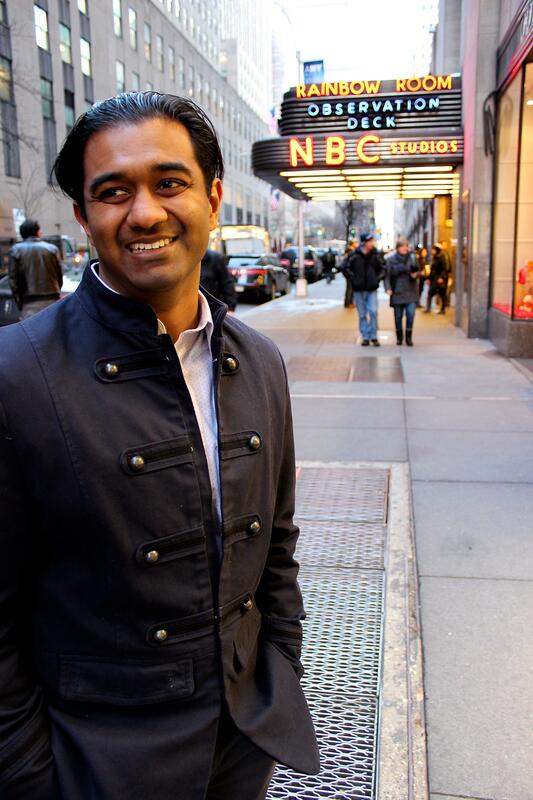 Sharaf Mowjood is an associate producer at NBC News.